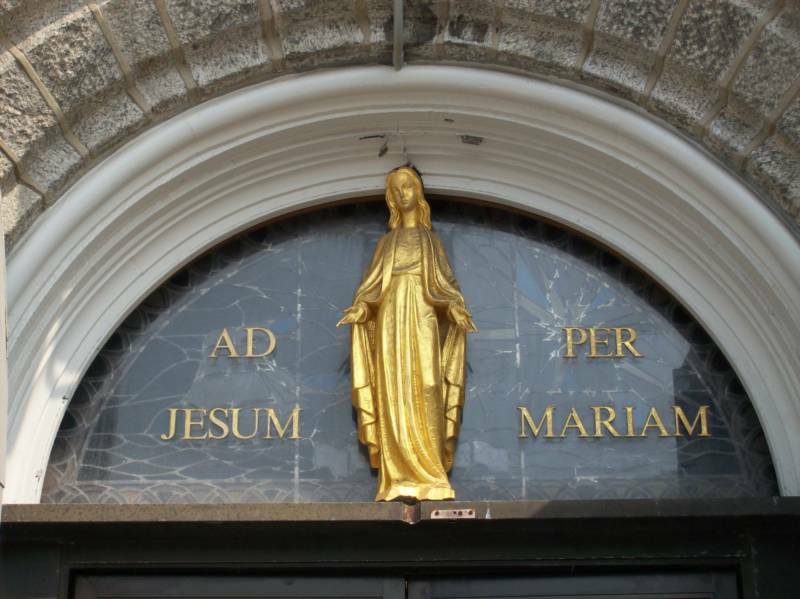 Total Consecration To Jesus Through Mary Begins On September 4th! Are you ready to renounce Satan and his works, renew and ratify your baptismal promises and make a total donation of your life to Jesus? If so, Total Consecration To Jesus Through Mary is just what you need! I cannot thank you enough for doing this. Listening to your explanations is a big help for me. I also appreciate being able to say the prayers along with you because I get so easily distracted. Not to say that it still does not happen, but it would be a lot worse if I was doing it on my own. I have lots of areas that need improvement, but I feel confident with the Blessed Mother at my side I can do it in baby steps. Thank you for all your help. Just wanted you to know that my husband and I are still with you and plan on making this Consecration next week. It has changed MY life in so many ways. Thank you so much for doing this…it is very helpful to do it in a group …this is a huge mental commitment and a leap of faith but I find your encouragement extremely inspiring! You are doing so much good with this consecration. I would not even be doing this myself if I had not heard you on Ave Maria Radio (while I was working on the house!). You are blessing so many through your encouragement with this devotion and your thoughtful support of those who are encountering difficulties. On September 4, 2012 we will once again begin the 33 day period of preparation which will result in consecrating (or re-consecrating) ourselves to Jesus through Mary on October 7. As I did last year, I am inviting as many of you as possible to make this consecration along with me. In order to make it easier, I will be devoting all of my Following The Truth radio programs during this period to the necessary preparation prayers. While you can certainly say them on your own, many people found it easier to listen to the program and pray along with me. The show airs on BlogTalkRadio each night at 8 PM Eastern or, if it’s more convenient for you, the podcast can be downloaded from the BTR archives or iTunes free of charge. (Days 1-12) The Spirit of the World – We concentrate on casting off the spirit of the world, which is contrary to the spirit of Jesus Christ. (Days 13-19) Knowledge of Self – The focus is on seeing ourselves as God sees us and looking at the effects of our sins. (Days 20-26) Knowledge of Mary – In order to imitate Mary’s desire to always follow God’s will, we must get to know her. (Days 27-33) Knowledge of Jesus – In preparation for making our Total Consecration, we’ll study the life of Jesus. Day 34: Total Consecration to Jesus through Mary. If you’re interested in joining me, simply fill out the form below so that I’ll have an idea of how many of you will be participating. I’ll also add you to my mailing list so I can provide you with additional information (including where to get FREE consecration materials) and give you some further background on the devotion. Please share this invitation with as many people as you can. There is no cost and no vows are involved. You’re simply expressing the desire to become a better person and taking advantage of Mary’s help. It’s a great deal! We begin on September 4th! Posted in: Following The Truth, podcast, radio, St. Louis de Montfort Consecration, Total Consecration. Thank you very much and looking forward, listening, to you on my IPhone radio. Thank you. Just listened to you on the Sunrise Morning Program. I’ve tried to make this consecration previously on my own – but I’m so looking forward to your help. God bless……..
Could you please mail me a copy of the prayers we will be saying for the 33 day Devotion to Mary. So excited to be joining you! To Jesus through Mary!!! Ihave made this consercration, but i would like to do it again. Thank you. Shelley – You can always order the book from http://www.myconsecration.org/ and pray along on your own.